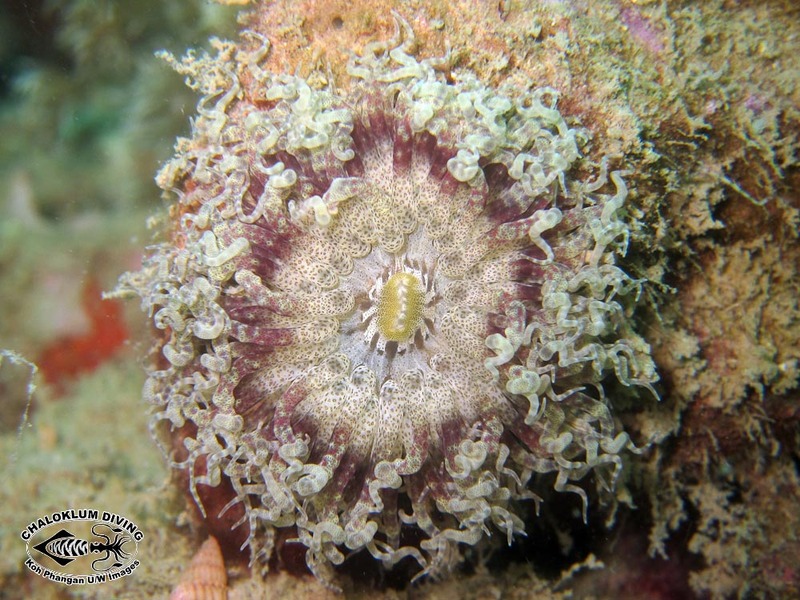 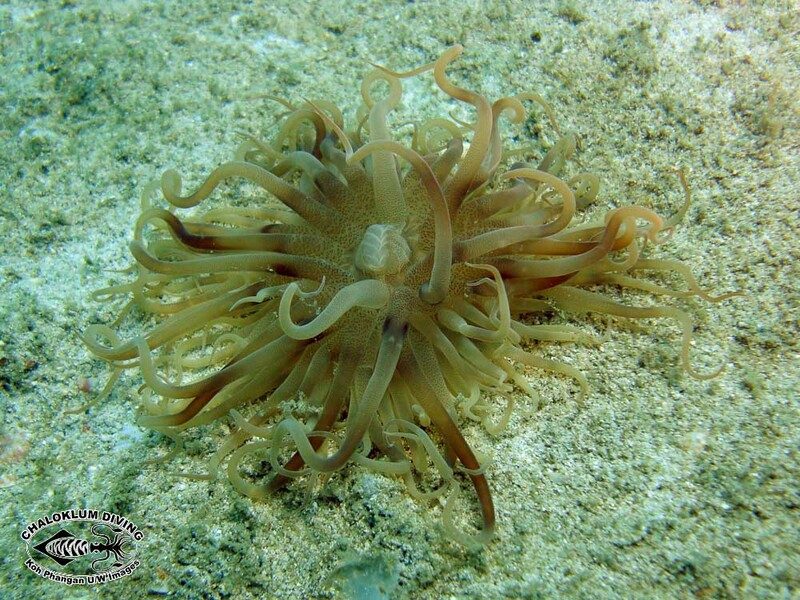 Marine Life Guide > Cnidaria; Corals and More > Hexacorals; Hexacorallia > Sea Anemone; Actiniaria > Swimming Anemone; Boloceroides mcmurrichi. 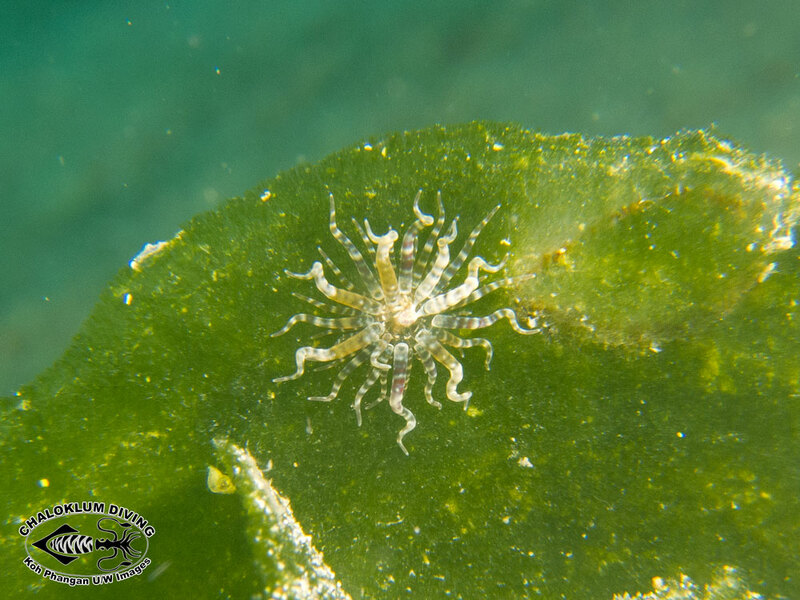 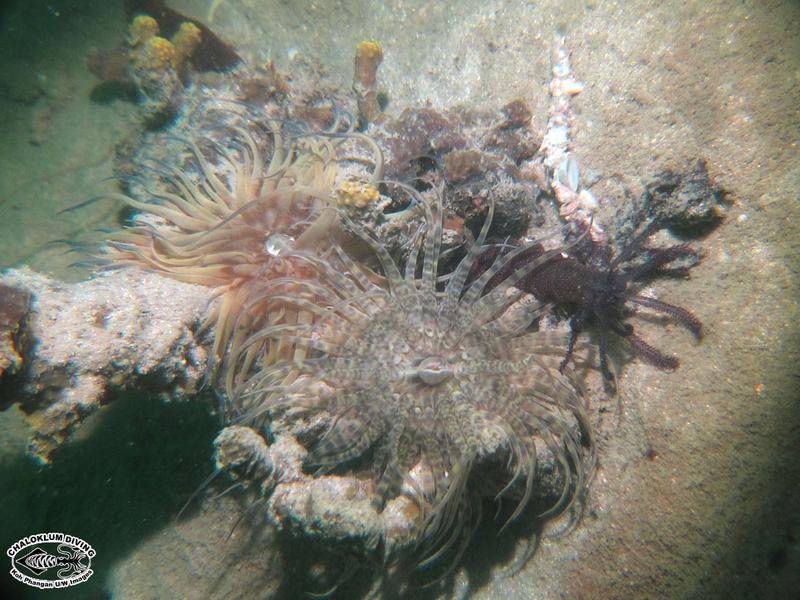 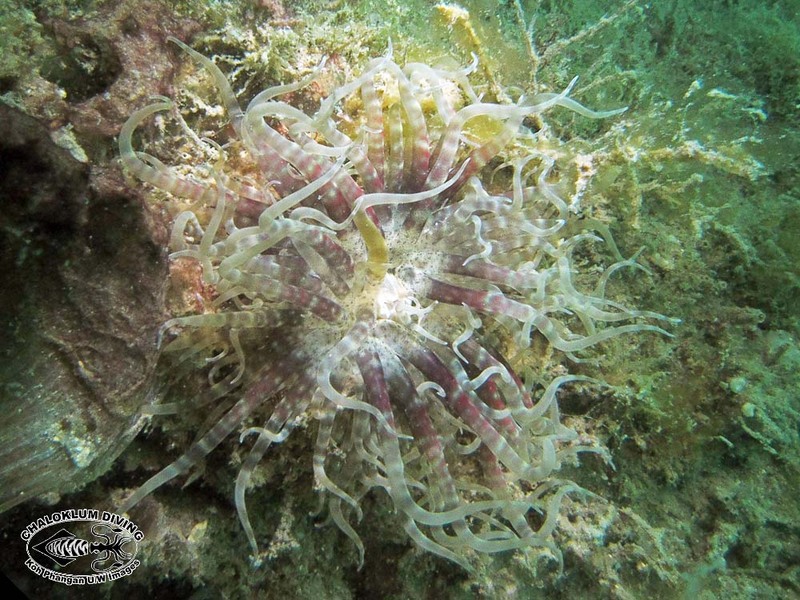 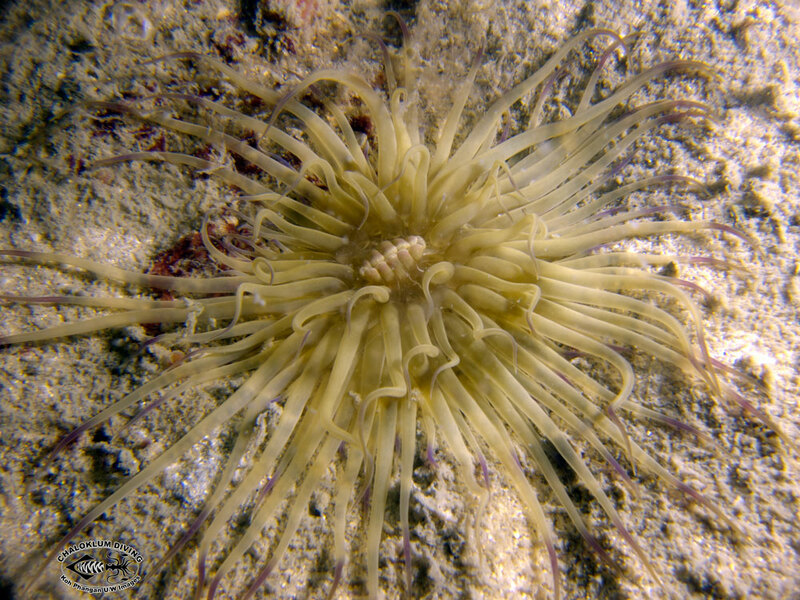 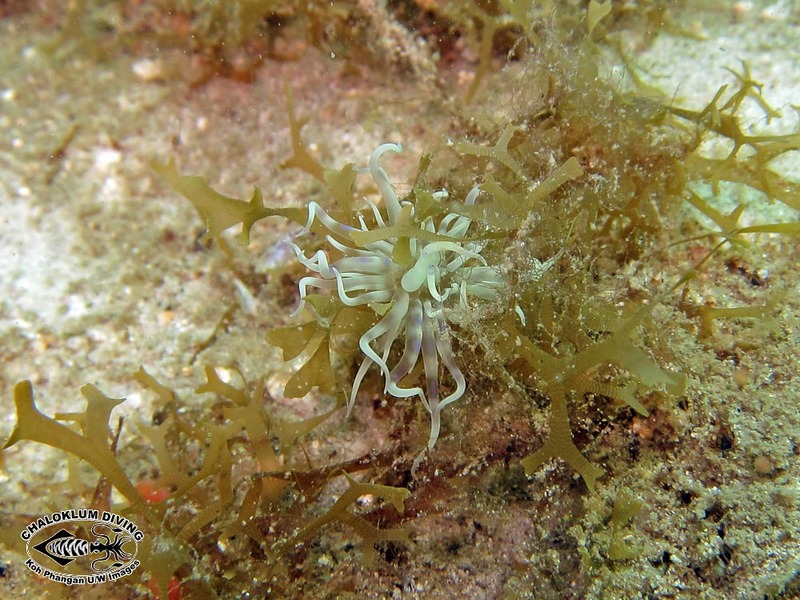 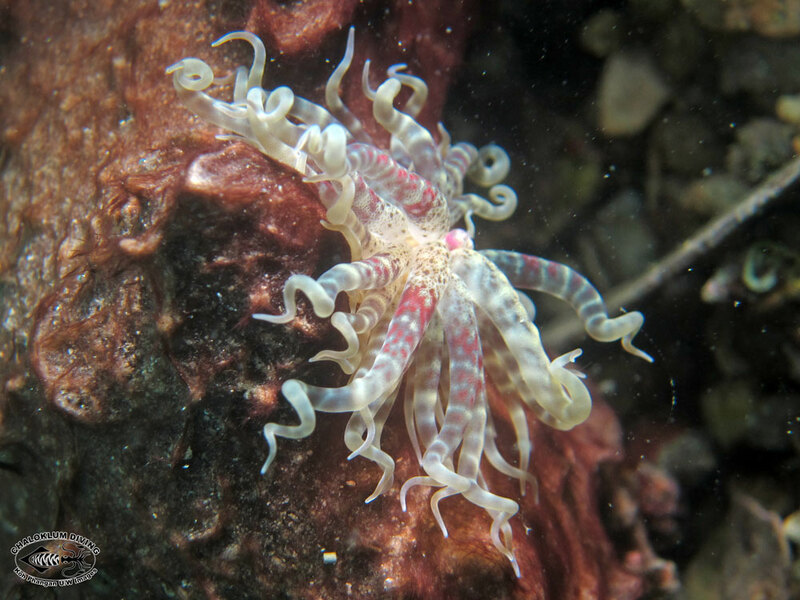 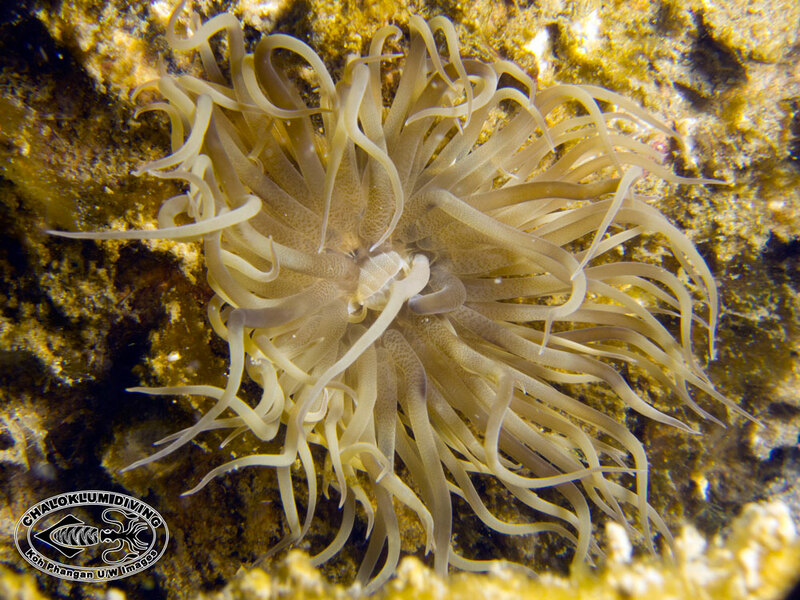 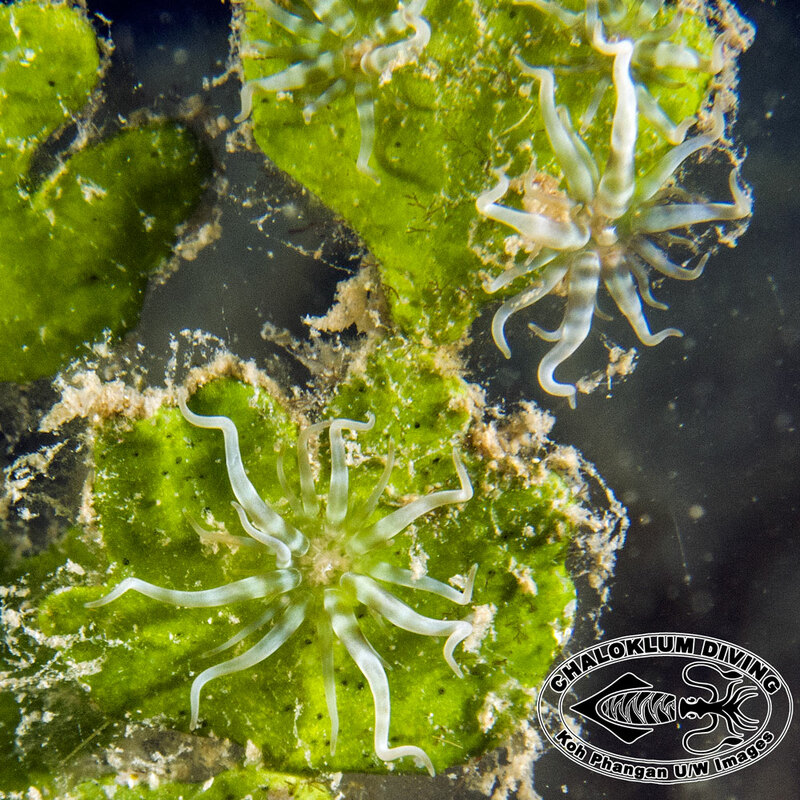 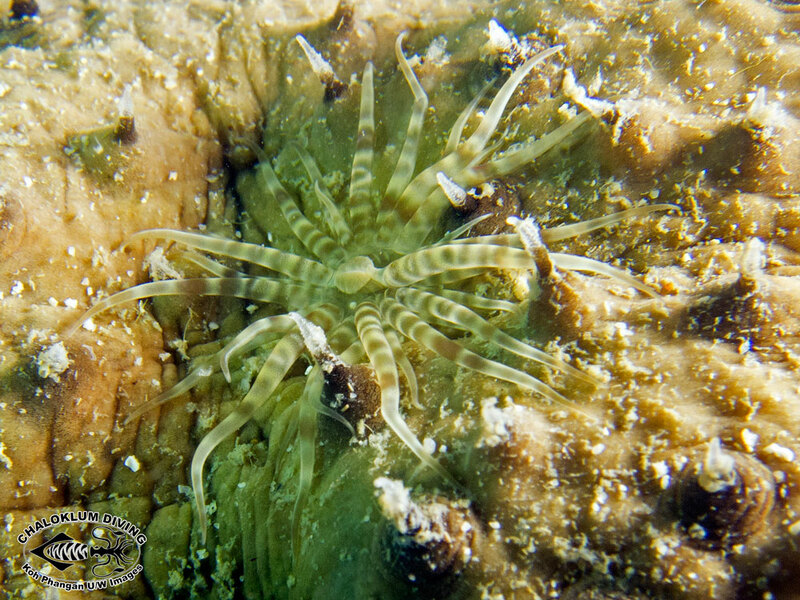 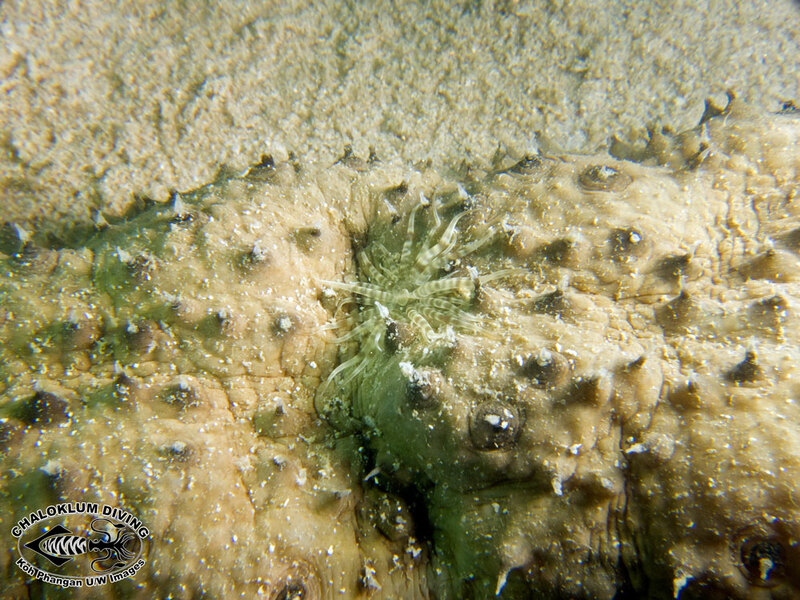 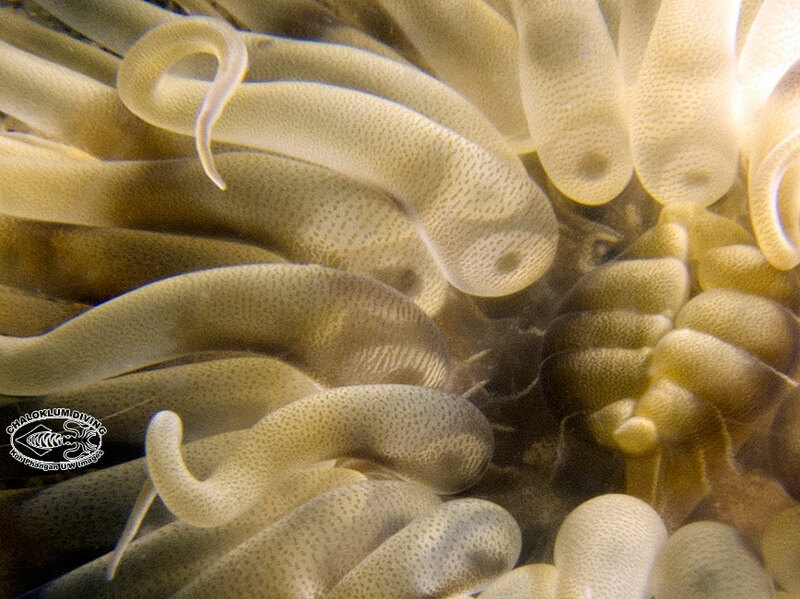 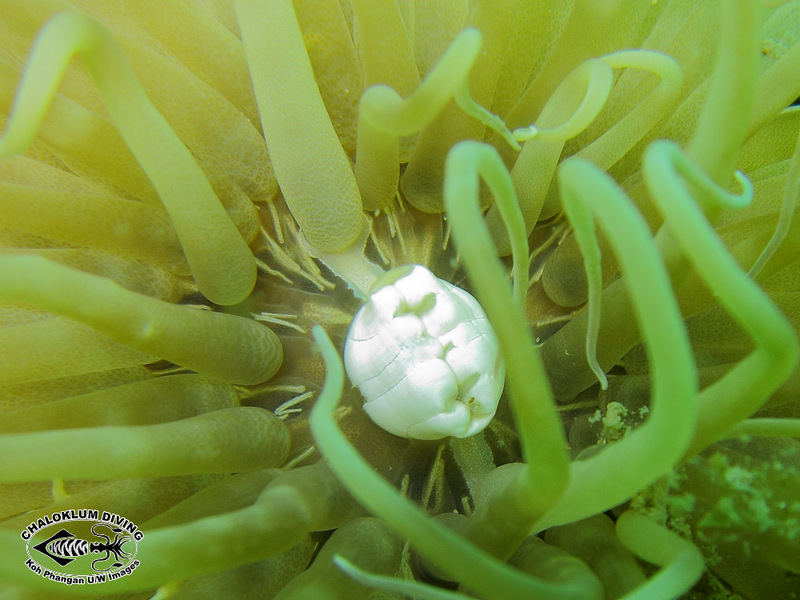 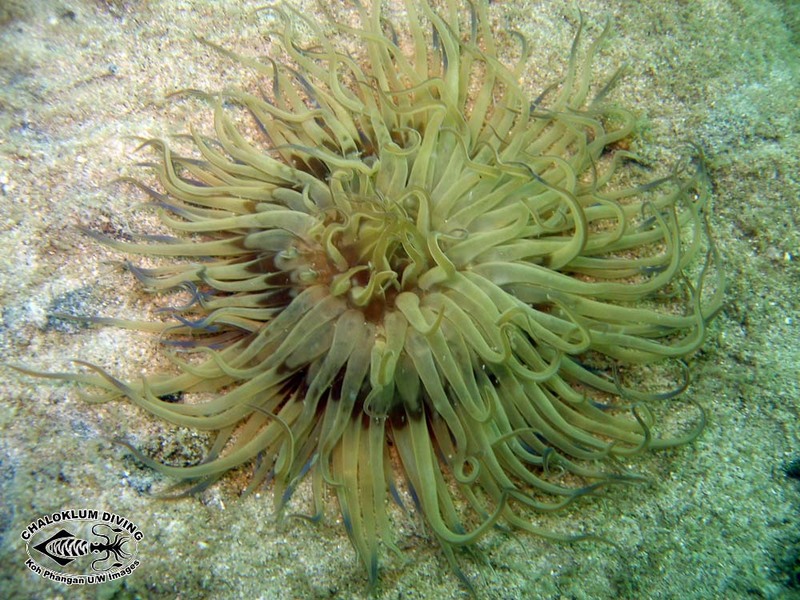 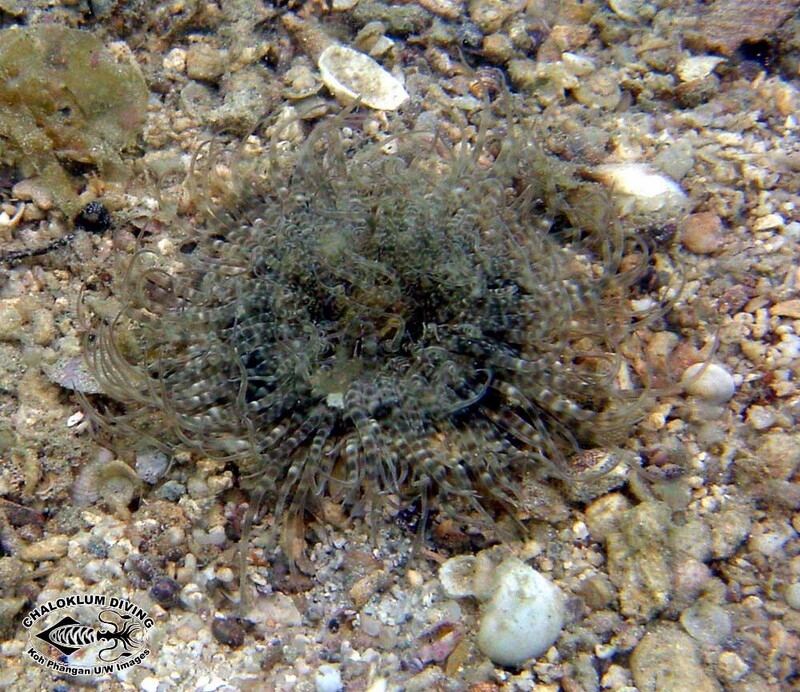 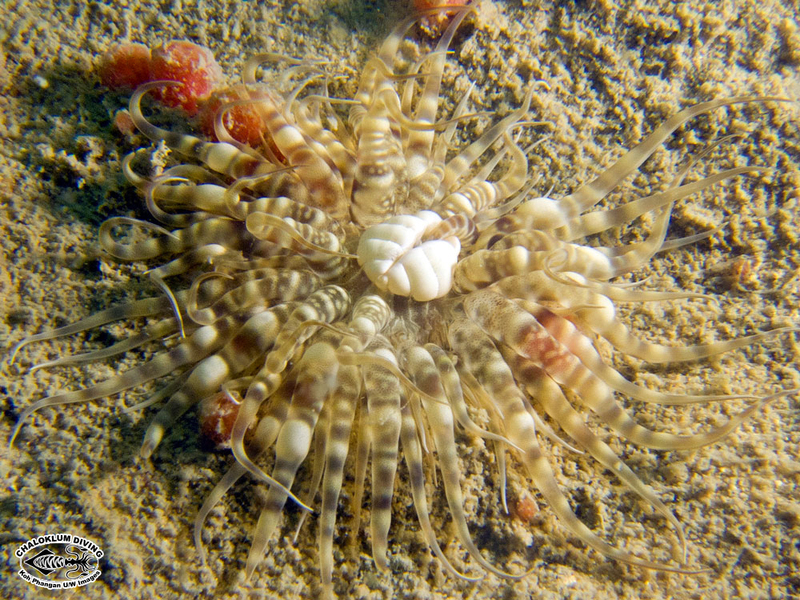 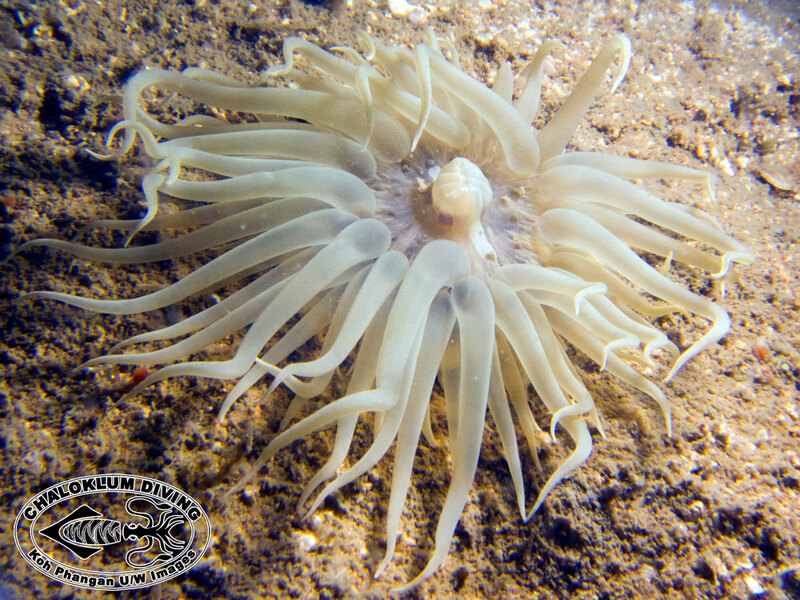 The Swimming Anemone is a surprisingly common creature, easily found when scuba diving in the Chaloklum Bay area. 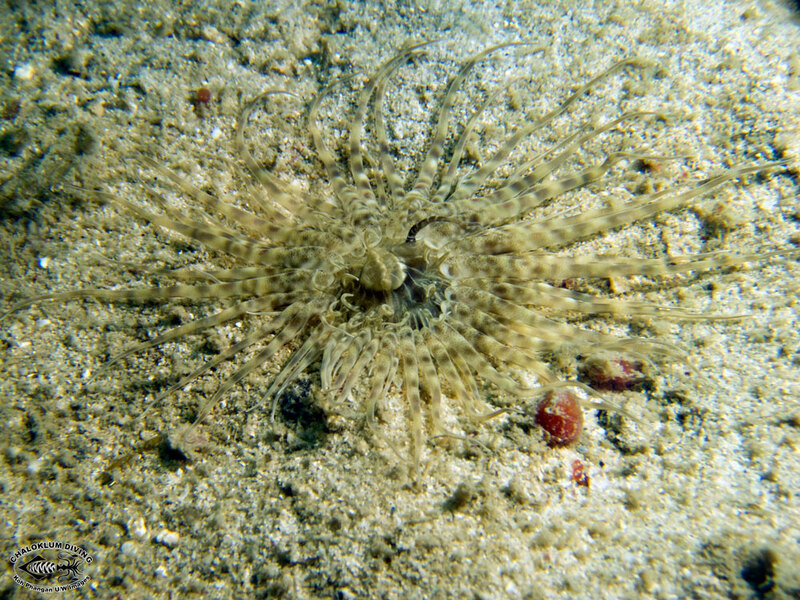 They obviously get around but we have yet to see one on the move.